MyPunchBowl Review & Premium Membership Giveaway - Mom Knows It All. I need to write things down to keep track of them. If I don’t write it I forget it. Between 2 boys, family and my own stuff going on I have accidentally ended up needing to be in 2 or 3 places at once because I didn’t write something on the calendar. Sometimes I write myself notes on stickies and sometimes I email myself to dos. All of that is for a normal week. When I’m preparing to host a holiday or birthday party things seem to get even more hectic. Some people say that in the busy time leading up to an event they actually forget if they invited someone. I haven’t had that happen to me but if using MyPunchbowl it never would. That’s a lot of features! Well, guess what. All of those features are included in a FREE standard membership to MyPunchbowl. For those that are really into party planning or entertain a lot, there are two types of upgraded accounts available – Plus for $29.95 and Premium for $49.95. The two upgraded memberships offer even more things including Advertising-free service, Priority tech support, more ecard fonts, more ecard designs, premium invitation designs, more papers and more ribbons. MyPunchbowl is really easy to use. It’s a web based service, which means you can log on any time you need to – much better than hoping to remember to do something when you get home. 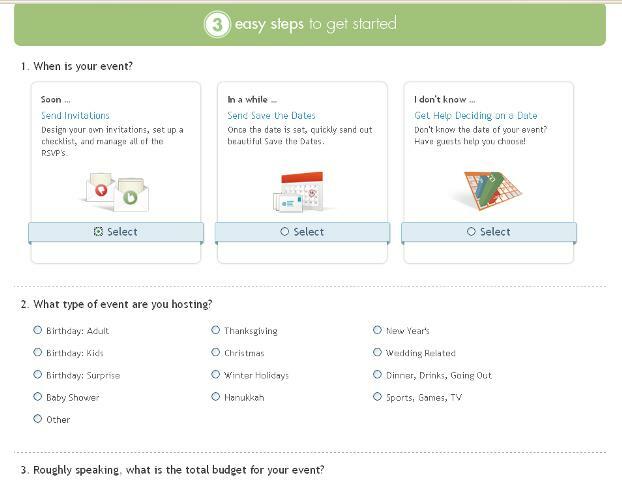 To create a new event you specify what type of party you’re having. Then you decide when and where you’re having the party. If you don’t know the location details you can choose to send save the date cards. Next you choose the theme. 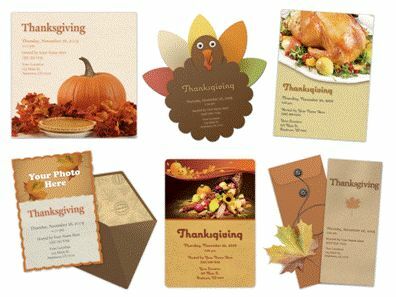 You can choose from dozens and dozens of invitation themes, all categorized and searchable by name. They have designs for every occasion and holiday. I chose the turkey for my Thanksgiving invites. Once you pick out your design you can customize the details. You even have control over what the recipient sees when they respond. If you’re planning a big gathering you may want to include a message board or distribute the invitation on a social networking site like Facebook or Twitter.Once your invitation is complete you email it. You can import addresses into the address book or add them one by one. After that you also have the option to buy matching party supplies and favors. Once guests start replying you can easily see who’s coming and if they’re bringing anything. I love that you can see which invites have been read, ending the “I didn’t get the invitation” line. And MyPunchbowl’s usefulness doesn’t end with pre-party planning like invitations. It also offers photo and video sharing after the party. I loved the selection of designs. I also think the birthday reminders are very helpful. 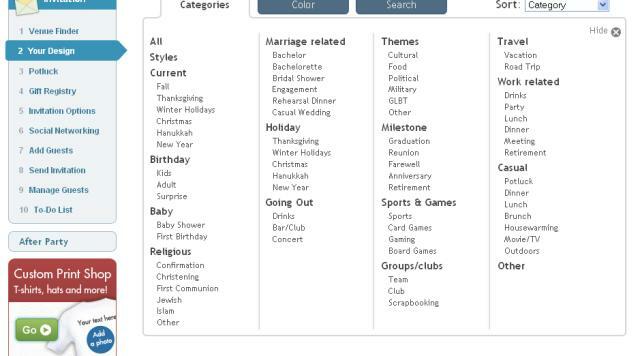 The only thing I would find helpful that the site doesn’t offer is the ability to schedule invitations and cards. If you’re into entertaining, want to send free online invitations or just want some help organizing check out MyPunchbowl. TWO winners will each receive a FREE Premium membership upgrade for ONE YEAR- a $49.95 value! To enter visit MyPunchbowl and then leave a comment on this post telling me what occasion you’d design an invitation for. 1 – Subscribe to my newsletter. 1 – Follow me on Twitter @valmg AND leave your Twitter name here. US addresses only please. This contest will end on Monday 11/23/09 at 11:59 pm est. If you’ve entered any of my giveaways before then you know that only comments containing all of the requested information will be eligible for entry. The winner must contact me to confirm they wish to receive the prize within two days of my email notifying them they’ve won. Good luck to everyone! Then there is a calendar on the bathroom door….